Do you DARE go on a Theatre Royal Ghost Tour? What comes out when the lights go off? An empty theatre, out of hours and after dark, is full of dark shadows, unexpected noises, and fleeting glimpses of theatre ghosts – or is that just your imagination? Theatre Royal Ghost Tours is an atmospheric experience of stories and suggestion that will bring you out in goose-bumps. The Theatre Royal, as it stands, dates from 1895 and has a chequered history having been replaced by two earlier theatres built on the site in 1867 and 1888 – both of which were gutted by fire before being rebuilt within the existing external walls. But who really knows of the personal tragedies of its staff, or those performers who simply refuse to accept that the curtain, for them, has well and truly fallen? What might lurk behind a pillar or who might be sitting behind you, unseen, watching you as you watch a show? The Theatre Royal Ghost Tour is an opportunity to experience a visit to the theatre as you have never experienced it before. 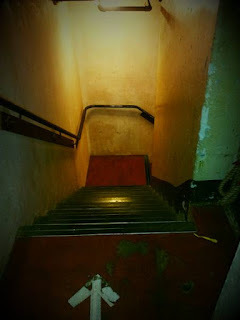 Unlike other tours of the building you will have the chance to explore the depths below the stage and access to places with particularly peculiar qualities. Will you feel the temperature drop, will you experience any paranormal activity and will you ever be able to return to the theatre without having the feeling that someone or something is lurking over your shoulder? Ghost tours will take place on 22nd, 23rd, 27th, 28th, 29th and 30th November (during the run of The Ladykillers and The Woman in Black) 15mins after the show that night has finished. Patrons are asked to meet in the foyer where an usher will them to the Upper Circle bar for quick refreshment, (should their nerves get the better of them!) and a safety briefing before the tour moves backstage. The tour will last for 1 hour and is strictly for ages 16 and over.